Stay at one of our Miami Beach Hotels and you will be only a short distance from many Special Events held in the Miami Beach area. Come and join us! 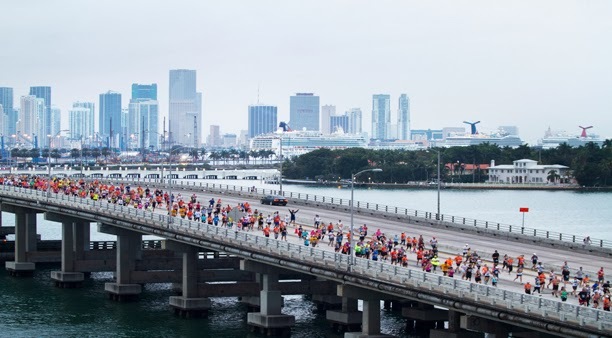 Taking place on February 2nd, The Miami Marathon and Half Marathon will play host to over 25,000 participants. The race begins at 601 Biscayne Boulevard, right in between the American Airlines Arena and The Freedom Tower. Almost every famous Miami landmark from the big screen is covered on the 26.2-mile course. If you know someone participating in this event, ask where the cheer zone is located to support your favorite runner and enjoy live entertainment that will keep you dancing in the streets and cheering for joy. After the race is over, come by our Miami Beach Hotels to relax and have a great time.